Mechanical engineering services form the backbone of what I do here at Zalaco. My broadest experience is within the world of mechanical design and the documentation required to manufacture those designs. During my time in industry I’ve worked on a variety of complex systems – from cruise missiles to high powered laser systems. I’ve worked in structural and dynamic test laboratories and spent many nights support high speed wind tunnel testing. To get a better idea of the mechanical engineering services I offer through Zalaco please read below. If you have any questions please contact me and we can chat. This is the core of what I provide here at Zalaco. Whether it’s designing new products or systems from scratch, bringing legacy components into modern 3D CAD systems, maintaining documentation in a modern PDM tool, or providing general consulting services – I can help. Mechanical design is about finding novel and elegant solutions within a set of constraints. Good engineers are good problem solvers. At the core, this is what we do at Zalaco. We define the constraints, establish requirements, and then work to develop a solution. Good engineering designs seem obvious in hindsight, but are often the result many iterations and years of experience. Computer-aided-design (CAD) is a broad term spanning many specific areas. In the world of mechanical design and product development, we are usually referring to 3D modeling and design tools. These tools are the foundation of modern development and manufacturing, as nearly all custom components are fabricated using 3D CAD files and the drawings generated from those files. At Zalaco, we use the latest version of SolidWorks for all of our design efforts. SolidWorks is a world-class, industry standard tool for developing, documenting, and maintaining designs. 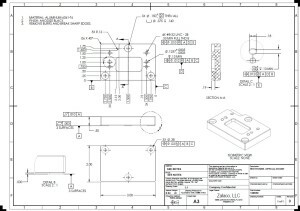 While 3D model files are used heavily across all types of manufacturing, engineering drawings are still used to communicate requirements beyond the nominal shape of the part. Proper tolerances to ensure parts fit together, specifying the types of material, colors, textures, and countless other details are specified on drawings. This also gives us place to properly control the revision level of a drawing and call out the file name of the associated 3D CAD file. Once you have 3D model files, drawings, and parts lists, you need a system for maintaining those files. Properly controlling document revisions becomes critical when you start sharing files with suppliers. Imagine sending your supplier a 3D model file for quote, a refined versions for prototyping, and a further refined version for manufacturing. If a good process is not in place to manage revisions, that supplier might not be able to tell which file you’re actually buying parts against. That’s why we build all client projects on the GrabCAD Workbench PDM platform. Do have a set of existing components that you need to have properly documented? From simple part drawings to complex assembly models, we can help. 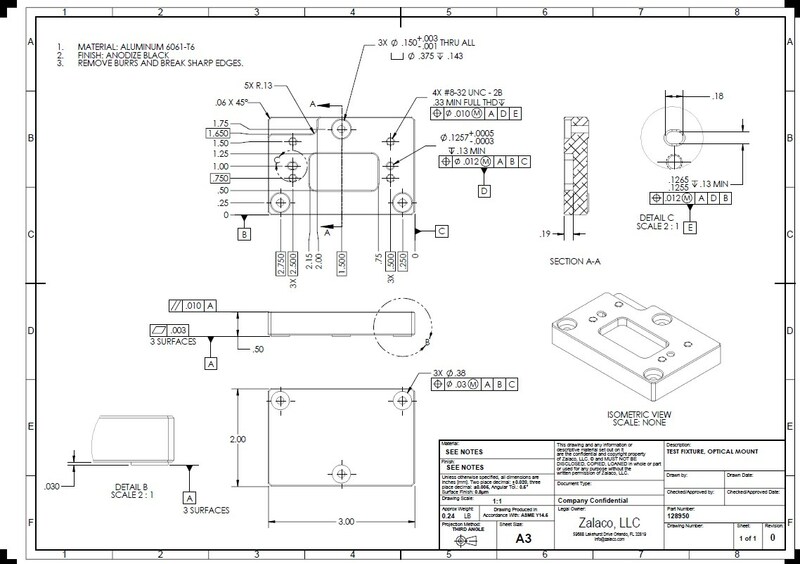 We can work with you to model, detail, and document those components in 3D and with 2D engineering drawings as required. In some cases, you need an exact replica of what you already have. In other cases, you might have an assembly where replicating the function is most important. Are you running your operation from 2D engineering drawings? Are you looking to modernize with fully parametric 3D and 2D files? Its critical to do this right the first time. You need more than a flash-drive filled with unreadable CAD files. You need to ensure that a standard modern CAD platform is used and that some type of Product Data Management (PDM) infrastructure is put into place. 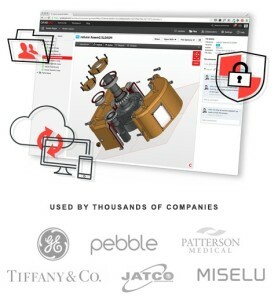 When the project is complete, you will have 24/7 web access to view 3D files and print PDF drawings. Perhaps you do not need engineering services but need a fresh set of eyes to brainstorm or evaluate potential solutions to a problem. Perhaps you are looking to implement a web-based PDM solution and are looking for some advice. Please feel free to reach out to me and see if I can be of assistance.